1. Child savings account is on the top of our list of best savings accounts because financial education must start early for your children, preferably when they are in Elementary school. Instead of focusing on wasteful “spend all your money” practices, teach your children early on about the importance of saving. Start by explaining to your child how child savings accounts work, how they can put their money into it and withdraw when they need it. Though you will not accumulate much in interest, at least you will educate your children about the safety of putting your money in a bank. Do not be misled that there are no child savings account taxes implied on the interest earned, these are taxed in a similar way as any adult savings account is. Bank of America, Chase Bank along with many other banks offer child savings accounts. 2. Choosing student savings account is on the top of priority things to do before heading off to college. With minuscule interest rates even for the best savings accounts currently offered by all banks, it really does not matter where you bank interest wise, however, there are some other factors that must be carefully considered before you choose your bank. Banks convenient locations, number of available ATM machines in your area, financial products selection and whether there are any recurring fees attached to student accounts. Online banking is a huge plus and can teach you how to stream line bill pays and keep all of your financial information on your fingertips. 3. Among multiple business savings accounts that stand out due to being the highest interest savings account, ING Direct Orange business savings account with its 1.1% annual yield is definitely slightly higher than its competitors’. This might not seem like much but if your business operations are dealing with large volumes of idle cash, the interest quickly adds up. However, there’s the price for a higher yield interest, money withdrawals are limited to 6 withdrawals per month but there’s no account limits or fees. 4. Online banking savings accounts are great and convenient way to keep all your financial records at your fingertips. According to Consumer Research ratings, ING Direct online banking savings account was rated the best in its class due to incredible customer service, no minimum deposit limits and no fees. The ING Direct offers truly the best online banking interface that is easy to understand even for beginners. 5. Money Market savings accounts are offered by many local banks and offer slightly higher compared to regular savings account rates. You can cross compare rates using savings account calculator to see which bank offers the best rates based on your financial situation, deposit limits, withdrawal needs and other factors. 6. Jumbo CD savings account is for you if you or your business has substantial volumes of idle cash that you want to work for you based on low risk investment scenario. With ridiculously low interest rates offered even for the best savings accounts, putting your money in a regular savings account might not be the best option for you. Jumbo CD could provide the security of the best savings account and higher interest rate for your savings. Depending on the term and length of you jumbo CD account, you can expect various yields. Jumbo CD accounts have existing deposit limits that you need to adhere to in order to receive the best jumbo CD rates. 7. Low risk government savings bonds are considered one of the best fixed rates savings accounts. Government savings bonds come with different maturity periods that you can choose ranging from short term, medium and long term. These provide a great way to stow away money, receive dividends and inflation adjusted principle at the end of maturity period in case with TIPS bonds. 8. Fixed annuities are another option for consumers to receive fixed interest income similar to best savings accounts. The big difference of bank savings accounts vs fixed annuities is that the latter are not FDIC insured, therefore presenting a higher risk for investors. Fixed annuities are offered for sale by major insurance companies like John Hancock Financial, Metropolitan Life Insurance, ING and New York Life Insurance with varied maturity periods and interest rates. 9. Offshore bank savings accounts are attracting many investors due to higher than average interest rates offered by domestic banks. 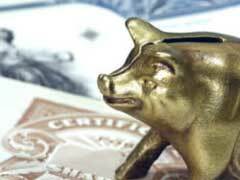 The best offshore banks are offering a variety of savings accounts to match your needs and goals. One has to carefully screen offshore savings accounts and read the fine print continuously to find out the exact rules and regulations. Normally, the highest interest savings accounts are offered to customers who can match bank’s minimum deposit amount and who oblige to make regular monthly deposits. There are lots of catches that have to do with offshore banking that must be carefully considered. 10.	Credit Union savings accounts are also one of the best savings accounts that consumers should check out. Because Credit Unions are non-profit financial organizations, they can offer slightly higher interest rates on fixed rate savings accounts for their members. If you qualify and meet their criteria, you can take advantage of best savings account interest rates. Child Savings Account Taxes - When and How To Pay?